This has been a great wave in peoples life. 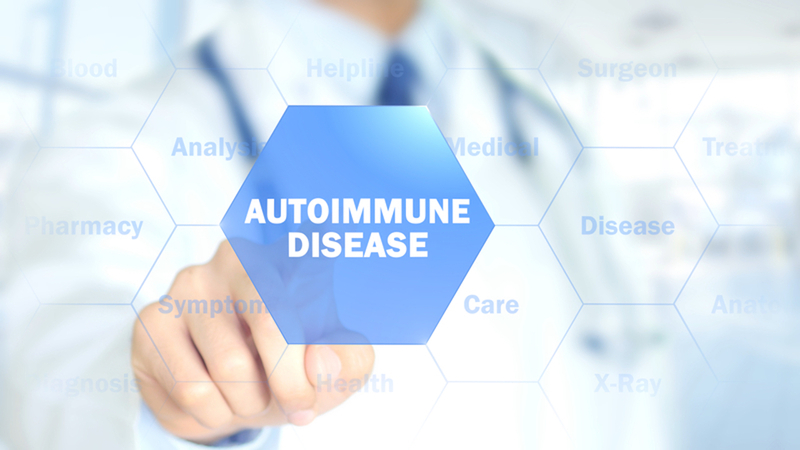 Autoimmune diseases have been estimated to affect as high as 24 million of the population. Which is 7% of USA’s population. Such a large amount of people are affected by this disease and still most of the world either do not seem to care about it or either they do not have time to know about it. Immune system is a part of our body system that helps us fight against all the germs and infections that affect our body. This immune system when it gets disordered, attacks body’s organs, tissues and cells. The worst part of this disease is that you never know which part of your body gets attacked unless you get it checked. With respect to where it attacks- there are almost 80 types which are found currently. The reason for such condition can include situations like genetically acquired, women of childbearing age, certain environmental factors. But most of all lifestyle and environmental issues play a large role in it. Nutrition plan can definitely help these diseases. So here are some of the common diseases and the diet that can help you. If you are diagnosed with one of the diseases, you should consult your doctor first before making any changes to your routine. A dietician can also help with your diet habits and control the symptoms. One of the most common types of diseases. This mostly affects people over 60 years of age. Joints are the major part which is aimed at. These joints get inflammation in them and also a thick lining near the joints are seen. It causes swelling and pain around the joints. Also if untreated, can damage your bones as well. Because of inflammation a food that has anti inflammatory properties is to be consumed. It also reduces the risk of disease. Fish like salmon, trout and torna are great along with chia seeds and flax seeds. Even though turmeric isn’t much connected to RA it has amazing anti inflammatory properties and hence adding it to diet is a great idea. Also selenium and vitamin D could be added to your meals. This affects skin. It leads to red, scaly patches on skin which resemble dry spots. Some people also experience itchiness, burning and this occurs commonly on elbows, knees and scalp. Various other problems such as heart condition, depression, diabetes are also seen. Along with low inflammatory food, a gluten free meal plan would be great. Symptoms may also be controlled by limiting intake of tomatoes and potatoes while increasing intake of vegetables, vitamin D and fish oil. Also known as Hashimoto’s thyroiditis. This attacks your thyroid making it interactive. Thyroid controls a lot of functions of your body, due to this it may even affect your heartbeat. Those detected with this disease should avoid iodine present food. Iodine can make symptoms worse. An anti inflammatory food will be great help. Vitamin D is a must for those with Hashimoto’s disease. There is also a link found between lactose intolerance and Hashimoto disease. This also affects thyroid. Rather than interactive it make your thyroid overactive. If untreated it can lead to many problems such as heart, muscles, menstural cycles and even fertility. Avoid iodine. Anti inflammatory diet as well as finding selenium supplementation can control symptoms. Selenium are mostly found in nuts, seeds and eggs. This is a disease which affects glucose or blood sugar levels. In type 1, no insulin is produced at all. They mostly take shots or therapies, so that the glucose can be utilized for energy production in body. Patients need to always keep a check on sugar intake to maintain glucose levels. A low carb or low fat diet will help people lose weight and this is a major problem with those affected by type 1 diabetes. Restriction of consumption of bread and rice are also suggested. Complex carbs sudha as grains and vegetables are to be given more importance. Even though these diseases cannot be totally avoided, but they can be reduced by at least a small amount. It is of great importance that you do a monthly checkup so that these diseases may not take the best out of you and make you ill!